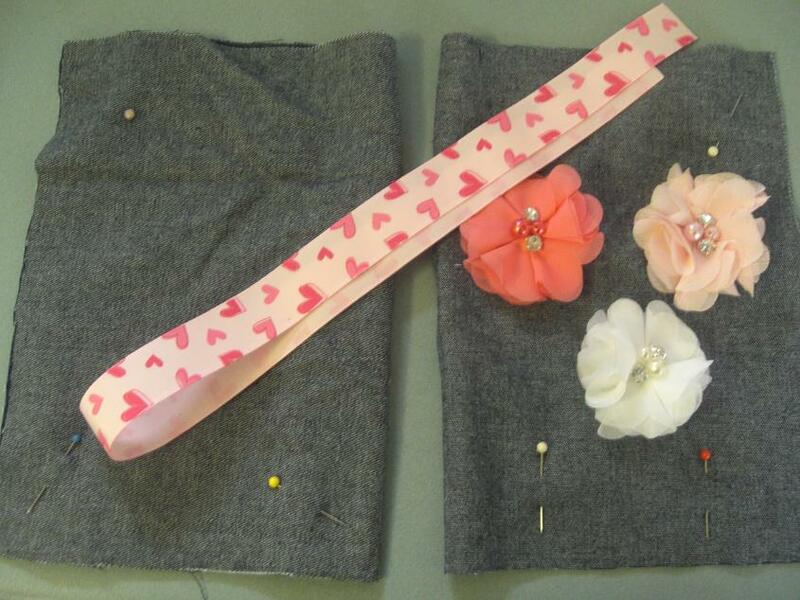 How to make an easy shoulder strap bag. 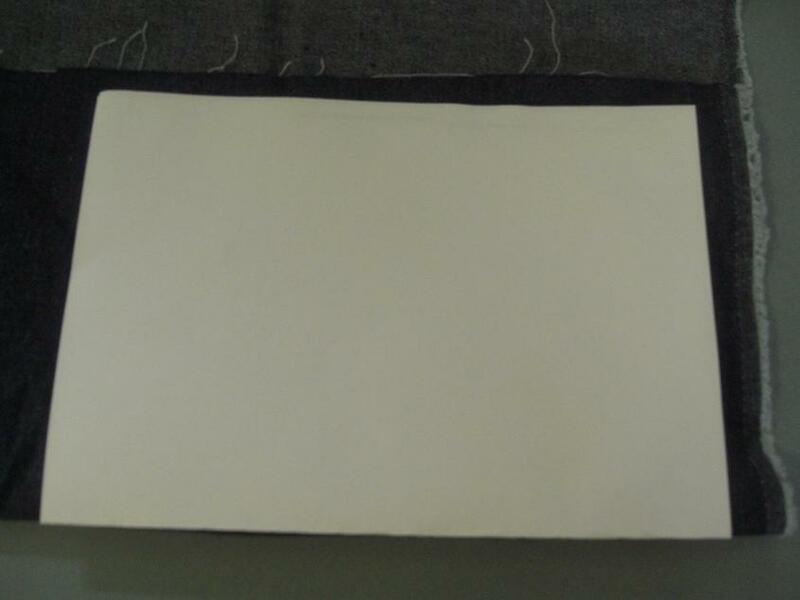 Take you chosen piece of fabric and fold in half place the A5 sheet of paper on the fabric fold and cut to give you 1 sheet of fabric 14.5cm x 20cm folded. Do the same with your fabric for the lining. 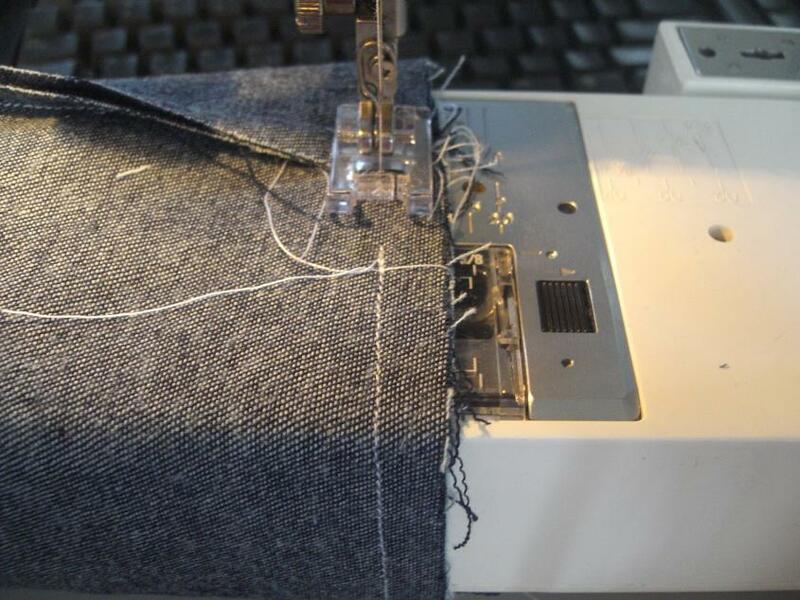 With right sides together stitch down the side and along the bottom of your outside fabric. For the lining stitch down the side and along the bottom leaving an opening in the centre of the bottom. 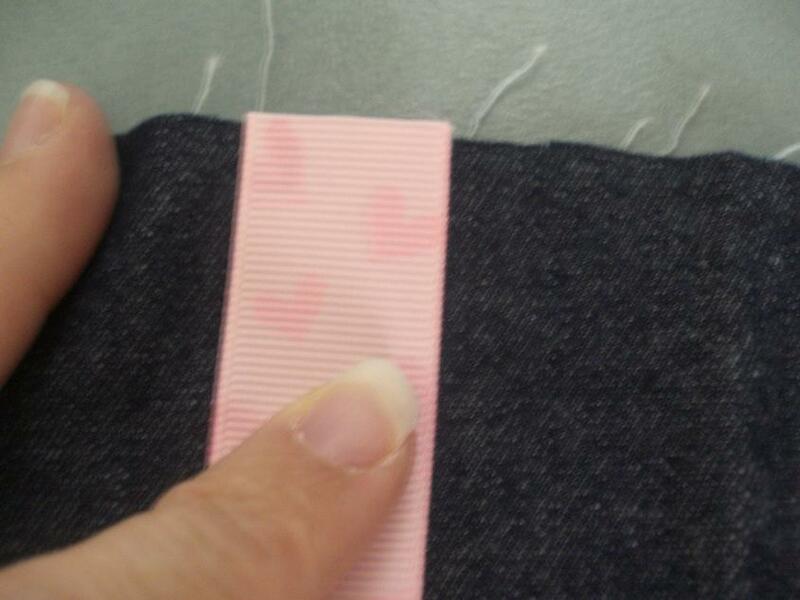 Stitch down your ribbon about 5mm from the top of fabric opening. If using printed ribbon make sure the print is facing down. 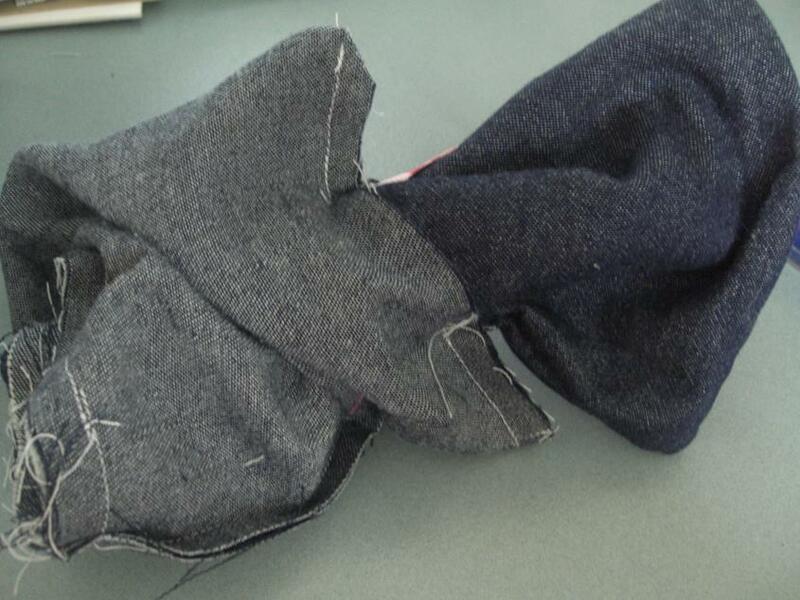 With right sides together place the outside fabric inside your lining fabric and pin together. 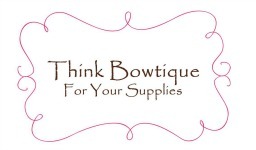 Feed your ribbon down outside the opening at the bottom of your lining fabric so it is out of your way. Make sure the ribbon is straight at the top where you are going to stitch. Stitch all the way around the opening of your bag. Now pull the outside fabric through the lining opening and turn right side. 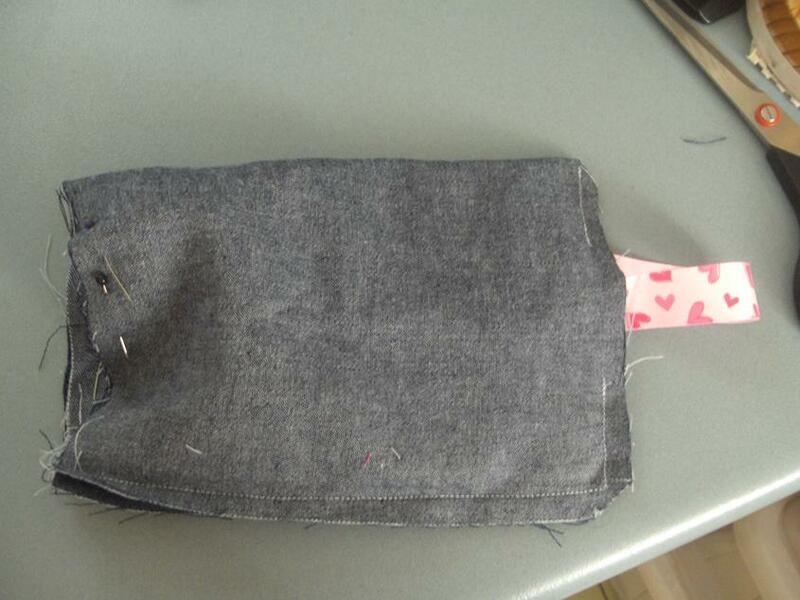 You can hand stitch the opening closed and push the lining inside the bag. 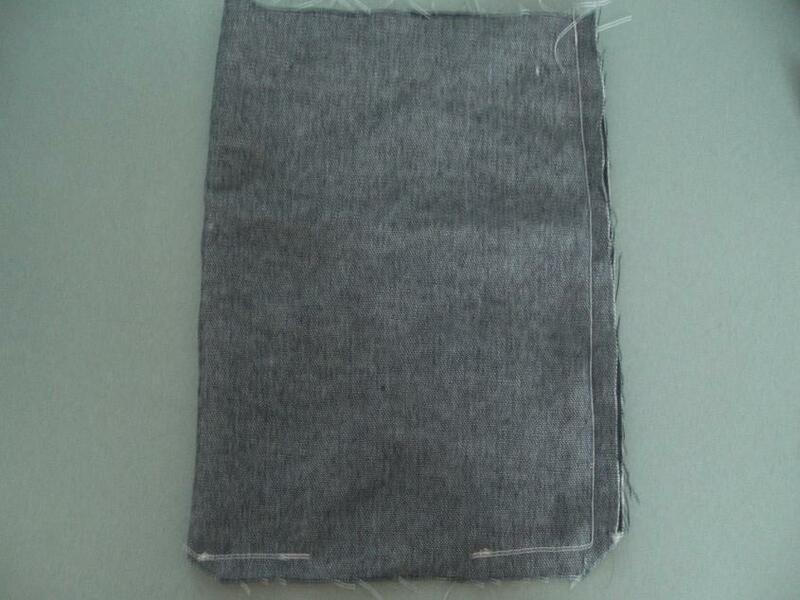 All edges are covered so you don’t need to overlock the edges. 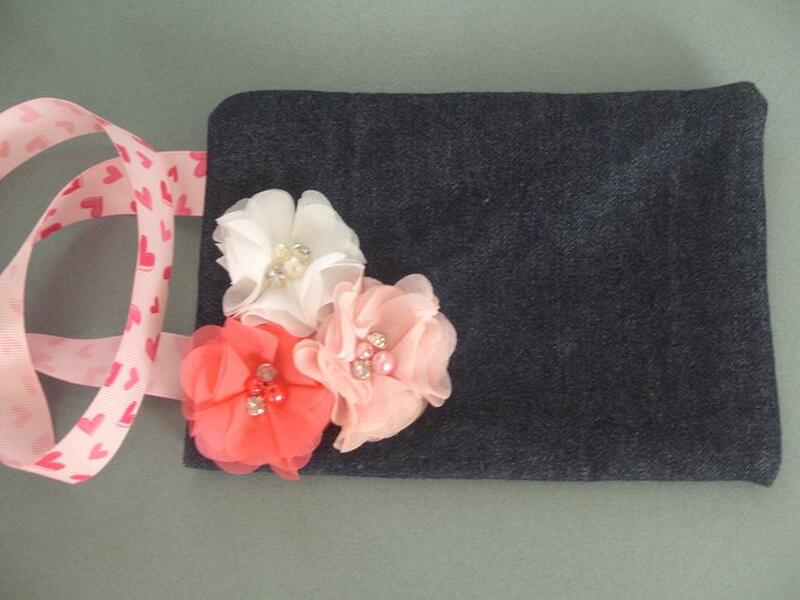 Embellish your bag with the mini Tiffany rhinestone and pearl flowers. 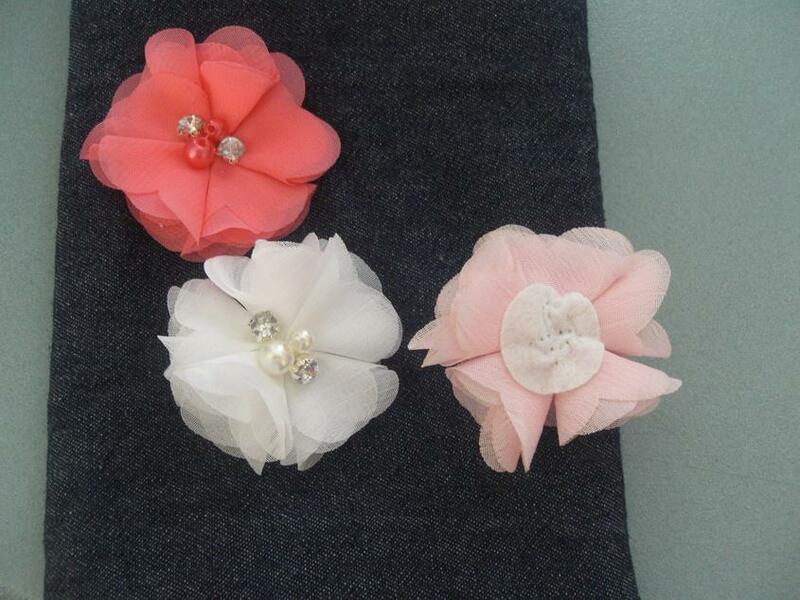 Flowers have a felt backing so you can either stitch them in place or hot glue them in place. 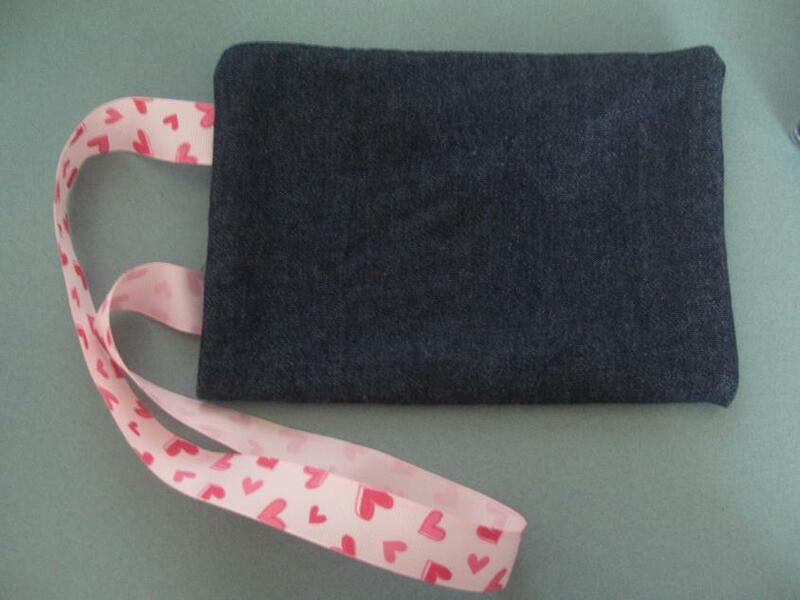 You now have a shoulder bag 14cm x 19cm ready for you next little party. 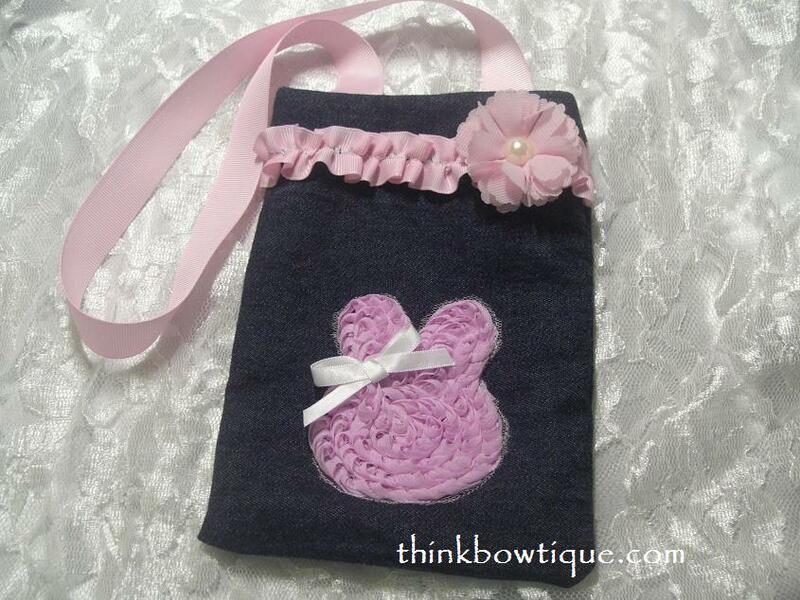 Here is the same bag with chiffon bunny and filly grosgrain ribbon trim. Thank you for reading my tutorial. Please do not copy this tutorial if you would like to share please leave a link to this page. ← Pin it to win it.